Emily Rolka, born and raised in Michigan, began violin as a Suzuki student at age six. She made her solo debut with the Toledo Symphony in 2003 after being a winner of the Toledo Youth Competition. Since then Emily has performed across the country, Italy, and toured Bulgaria. In 2009, Emily was a Finalist in the Blue Lake Fine Arts Camp Staff solo competition and the University of Iowa Concerto competition playing the Tchaikovsky Violin Concerto. Currently, Dr. Rolka is the director of the Suzuki Talent Education Program at Robert M. Sides Family Music Center in Williamsport and adjunct professor at Lycoming College. She has taught at the University of Minnesota, St. Paul Conservatory of Music in Minnesota, Hillsdale College in Michigan, and has taught a Master Class at Bethal College in Kansas and loves teaching all levels. Dr. Rolka received a Bachelor of Music degree in violin performance from the University of Michigan studying with internationally acclaimed violinist, Yehonatan Berick. 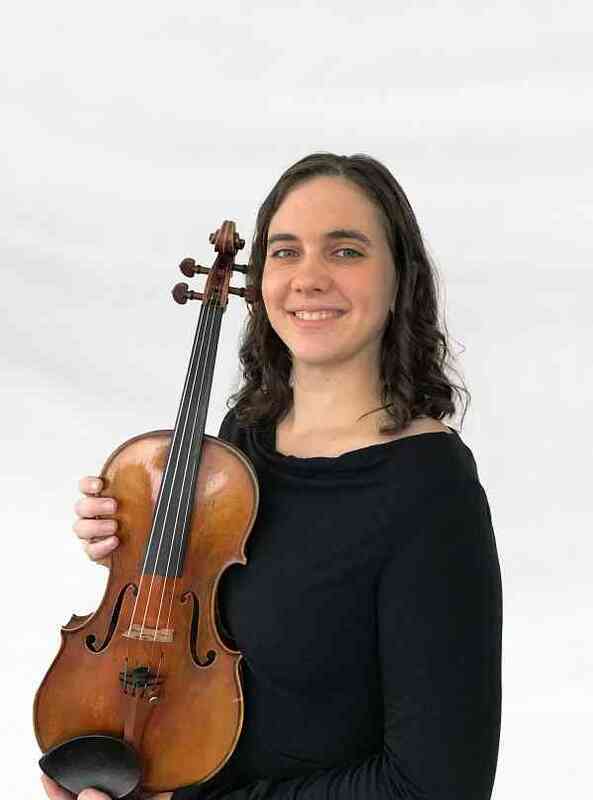 She holds a Masters of Fine Arts degree from the University of Iowa in violin performance under the tutelage of Dr. Scott Conklin and a Doctoral of Musical Arts degree in violin performance from the University of Minnesota with long-term Suzuki teacher training of books 1-10 with Mark Bjork. Further Suzuki teacher training has been with Christie Felsing, Ronda Cole, Nancy Lokken, Geri Arnold, Brian Lewis and Teri Einfeldt. With interests in many genres of music, Emily studied Jazz improv and film music at the Henry Mancini Institute in Los Angeles, and recorded a CD with the orchestra in the Warner Brothers Studios. As a chamber musician, Emily was a member of the Graduate Piano Quartet and Center for New Music at the University of Iowa and continues to hold a passion for chamber music and performing contemporary compositions. Currently is a member of a Baroque period ensemble called Cat Behavior Specialists and the Williamsport Symphony in Williamsport, PA.